We created a simple yet clearly identifiable stationery design. A good set of stationery needs to transmit the personality of your business, what it stands for and what it can offer your prospective customers. It must also make a lasting and memorable impression in your audience straight away, as it is often one of the first points of contact between your business and your audience. 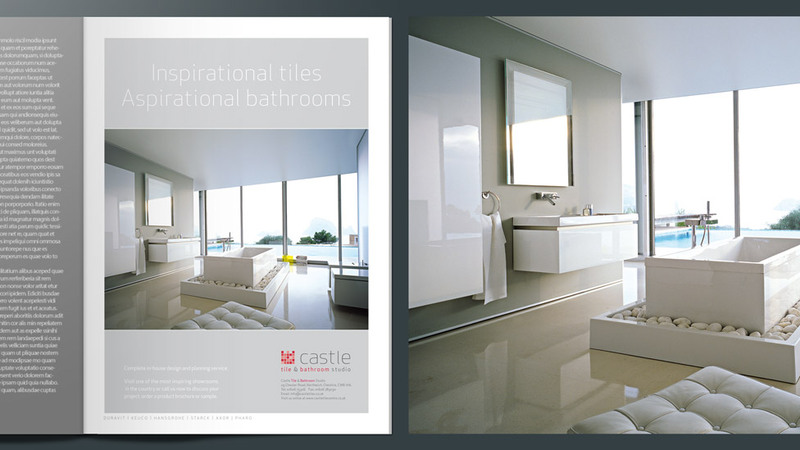 Castle Tile & Bathroom Studio’s innovative high street showroom displays a stunning range of natural tile products, as well as an equally impressive range of bathroom products from some of the world’s leading brands in the industry. 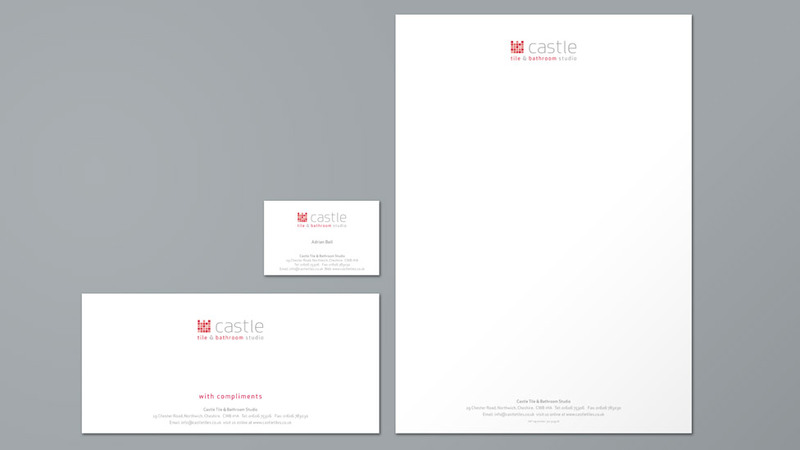 Having also designed their new logo, we carried over the simplicity of the Castle Tile & Bathroom Studio logo into the corporate stationery design. With such a distinct graphic element and colour combination, the graphic icon stands out and is clearly identifiable. Simple logos are often the most effective, and the crispness of the corporate stationery design complements the eye-catching and modern brand mark. This also cleverly reflects the glass-fronted, modern and contemporary showroom environment the company has. At Parker, we have been creating beautiful and effective stationery design for over 20 years. Have a look at other examples here. After producing the graphic design for Oakmere Lodge's logo and branding, the client required a suite of nicely designed business stationery.